The Non vented facial mask is single use by a single patient. It is designed for patients for controlled non-invasive positive pressure ventilation. The mask should be used with ventilator equipment with an active exhalation valve with a respiratory flow sensor or respiratory circuit. The exhalation valve should be connected to a respiratory circuit in the ventilator. Operating pressure should be 4-24 cm of water. If the patients experience irritation, discomfort, allergic reaction to the patients. Please inspect and intimate to the physician or anesthesia care provider. The mask should be clean after use or disinfected. Do not use the mask in case of patients with nausea and vomiting. Switch off the oxygen supply when it is not in use. Non-Invasive ventilation mask is designed for the positive pressure ventilation. Turn the adjusting knob and apply on the patients face. Hold the mask and extend the headgear, adjust the mask correctly apply the mask on the nose. Make sure that the mouth and nose are not in touch. Cushions help the mask to keep correctly to fix, fit and adjust the nose and mouth to snuggle round-shaped portion. Tighten the upper strap first and the lower one holding the mask with one hand. 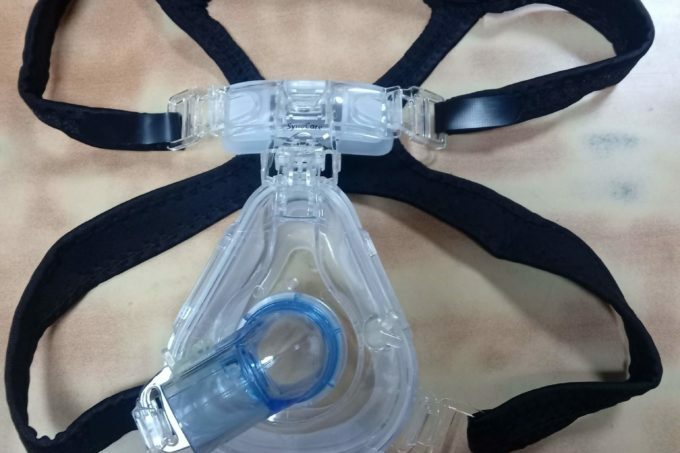 Adjust the mask until the NIV-mask without any leak and discomfort to the patients, adjusting knob helps in patients to feel comfortable until patient feel comfortable. Don’t over tighten the strap. Connect the ventilator to mask and start the ventilation. To remove the masking release one of the clips and lift the headgear over the patient head and slowly remove the NIV-mask. Before disassembling, disconnect the ventilator circuit. Cleaning and disinfecting when it needed and must clean with disinfected using the chemical disinfectant. Disassemble all the components and wash carefully in water using soap solution. Rinse thoroughly with water and dry it room air. Immerse the components in the cold solution of disinfection like 2 %sodium hypochlorite solution, glutaraldehyde solution.